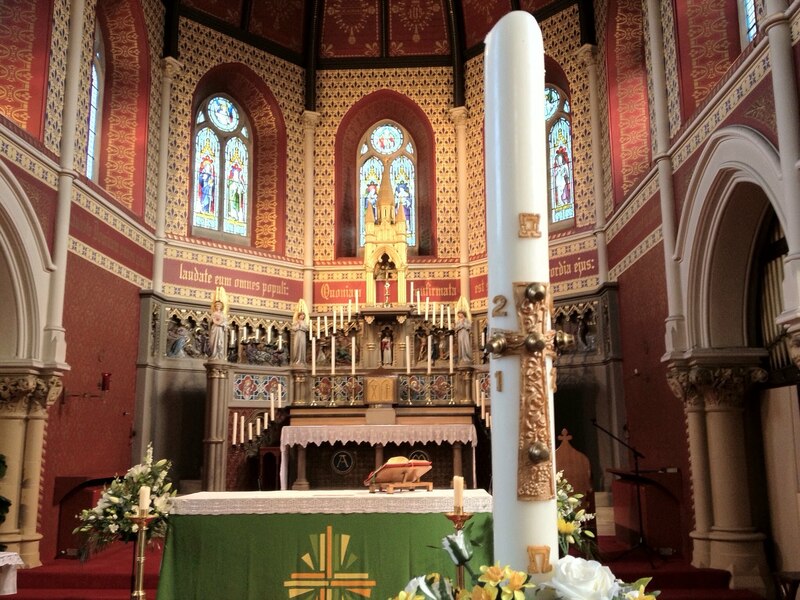 A few weeks ago, Fr Rony George moved into Stoke as the new Parish Priest of Our Lady of the Angels and St Peter in Chains, and next week Fr Michael Glover moves into the presbytery at Trent Vale as the new PP of St Theresa’s. A change of Parish Priest brings all sorts of questions, worries, excitement and expectations. What will the new priest be like? How will he be the same and how will he be different from his predecessor? What will happen to the Mass attendance? So many questions, and so many answers eagerly expected. When St John Vianney came to his new parish in Ars, Southern France, he came to a parish in something of a mess. The bishop had said to him: “There is little love of God in that parish; you will be the one to put it there.” His predecessor had left the Catholic faith and the priesthood to become a married merchant, leaving the people of the parish with a sense of despair and profound unhappiness. Many of the parishioners had become indifferent to the Catholic faith. But St John Vianney managed to turn the place around, convert his small parish of 230 souls and had people flocking all over France and from further afield to him for confession. And some of the local clergy were not too pleased, perhaps because they thought it made them look bad by comparison. One of the wonderful things about the Gospels is that they give us a very honest picture of what the Apostles were like, warts and all. They were very imperfect men. First we hear today that Christ tells them of His forthcoming Passion, and they “did not understand what he said and were afraid to ask him” (Mark 9:32). Then we hear that they were arguing amongst themselves about who was the greatest. They had completely the wrong idea about what they were being called to – a life of service and suffering, not of status and lording it over others. All of us today, clergy, religious and laity, are not much different. We all have our imperfections. It was true of the clergy in St John Vianney’s day, and it has been true of the whole Church all thoughout history. We are a work in progress, and hopefully, with God’s help, even though we may find ourselves taking one step back, we do also take two steps forward. Pope Francis has lamented careerism within the curia at the Vatican, and I presume it can be found in businesses, and even within families. Pride and envy are as old as history itself – look in the Old Testament at Jacob and Esau: Esau is the first-born son who is supposed to inherit everything from his father, but Jacob pressurises Esau first into giving up his birthright, and then deceives his father into giving him the blessing that should have been given to Esau. In St John Vianney’s time, his example of personal holiness and his success in bringing back sinners, probably made the local clergy feel bad about themselves. It was a bit like the first reading today, where the godless conspire against the virtuous man. Rather than saying, “good for him” and trying to learn from him, they wanted to bring him down. At one point, they sent a petition round the deanery, calling for him to be removed from the parish, saying that he was ignorant. Envy truly is the sin that knows no bounds, and it poisons everything. As St James said today in the second reading, “Wherever you find jealousy and ambition, you find disharmony, and wicked things of every kind being done; whereas the wisdom that comes down from above … is kindly and considerate”. In a previous parish where I was the curate, the Parish Priest said to me that one of the good things about that parish was that people worked together, without any cliqueiness. If only the whole Church and the whole of society could be like that! Going back to the first reading again, some people may experience a certain discomfort with the translation we have, because it refers to the virtuous “man” rather than the virtous “person”. But I think on this occasion, it reminds us of something very important, or rather someone – the virtuous man with a capital “M”, namely, Christ Himself. He is the one whom this reading perfectly predicts, who was to be brought down by the very people who passed themselvs off as religious and holy and virtuous – they were the ones that Christ showed up as being so hollow and distored in their faith. St John Vianney knew that he could do nothing without Christ, which is why He spent so long in prayer before the Blessed Sacrament, even spending all night in the church. If we are to grow into the people that Christ is calling us to be, we also need that contact with Him, both in the Mass, and in private prayer before His Eucharistic Presence. We are all a work in progress. So as Fr Rony George and Fr Michael Glover settle into their new parishes and re-convert North Staffs deanery, I hope I will be able to give glory to God for what they are doing, and maybe learn a thing or two from them as well.